Once you've logged some expenses for a client you'll want to send them an invoice. Billing for expenses in Paydirt is super easy. 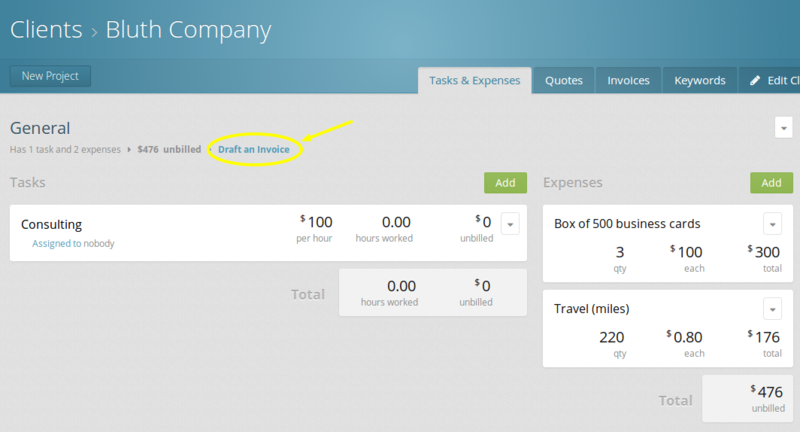 Click on the "Draft an invoice" link on the project that contains your expenses. 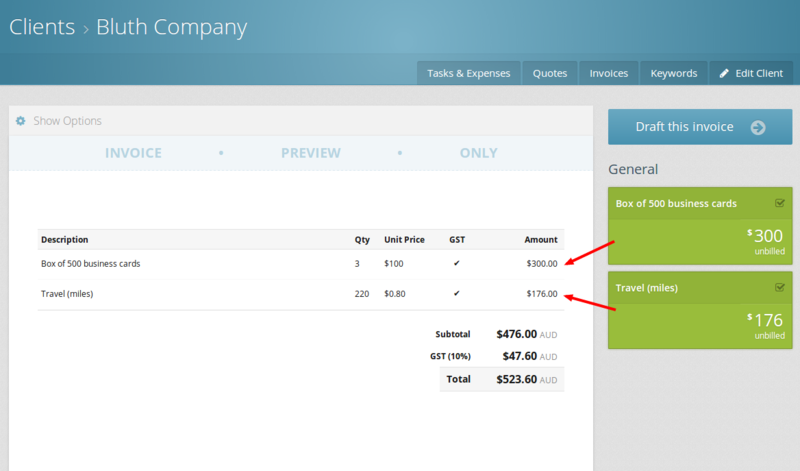 Choose which expenses to include on the invoice by selecting them from the column on the right. You'll see a preview of how they'll appear in the invoice on the left. Note: If you also have billable time logged for this client you can include it too! Click the Draft this invoice button! You're done! The invoice will be created as a draft, ready to be sent to your client. If you have an existing invoice and need to add some of your logged expenses to it, you can! 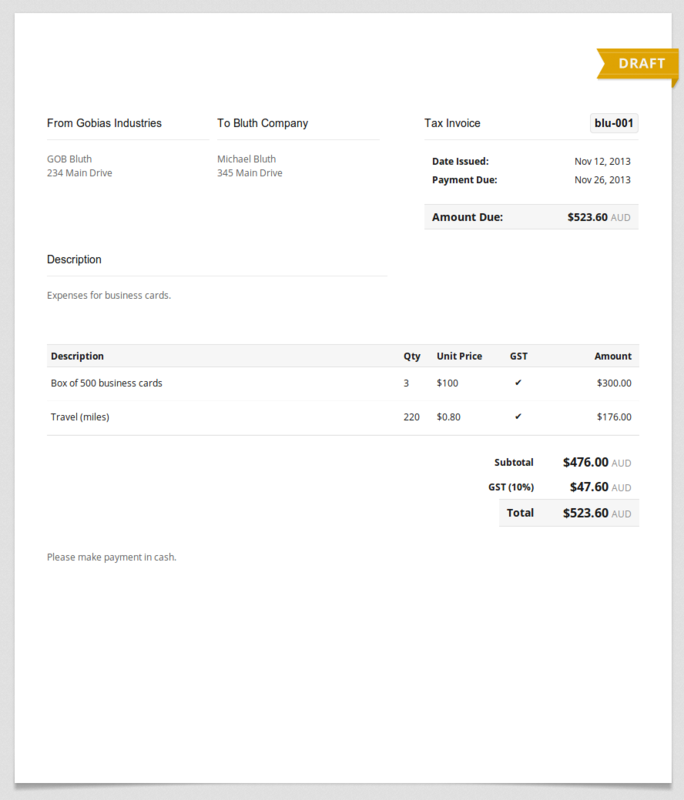 Head to the invoice you would like to add to, and click the Edit Invoice tab.